Speaking on the eve of Israeli Prime Minister Benjamin Netanyahu’s address to a joint session of Congress on Tuesday morning, National Security Advisor Susan Rice put forward the Obama administration’s positions regarding a nuclear deal with Iran. Rice stated, “We cannot let a totally unachievable ideal stand in the way of a good deal. I know that some of you will be urging Congress to insist that Iran forgo its domestic enrichment capacity entirely,” but before she had a chance to refute the argument, the audience broke out into wild cheers—by far the loudest applause that would come during her speech. “But. But as desirable as that would be, it is neither realistic nor achievable. Even our closest international partners in the P5+1 do not support denying Iran the ability ever to pursue peaceful nuclear energy,” she said. “If that is our goal, our partners will abandon us, and undermine the very sanctions we have imposed so effectively together. Simply put, that is not a viable negotiating position,” Rice added, before a few staggered claps in the audience of thousands. 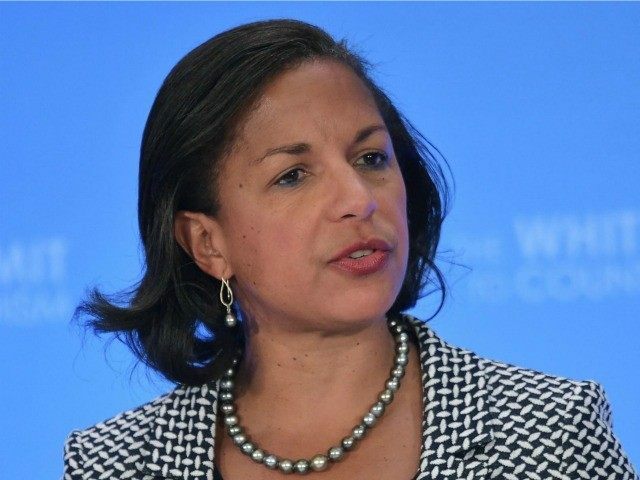 Only a minute later, Rice said, “I know some of you would argue we should impose sanctions and just walk away, but let’s remember,” but before the former UN Ambassador could finish her sentence, the crowd again erupted into applause.